Kevin Rudd has won the ALP leadership ballot and is expected to be sworn in today. Check Crikey's live blog for a summary of yesterday's tumultuous events. Kevin Rudd has won the ALP leadership ballot and is now expected to be sworn in as Prime Minister -- again -- tomorrow. Julia Gillard will resign from politics. Labor Senator John Faulkner's retirement marks the end of an era in Australian politics. Crikey readers have their say on Australian TV, the ALP leadership ballot, Joe Hockey as treasurer and the US deadlock over Obamacare. 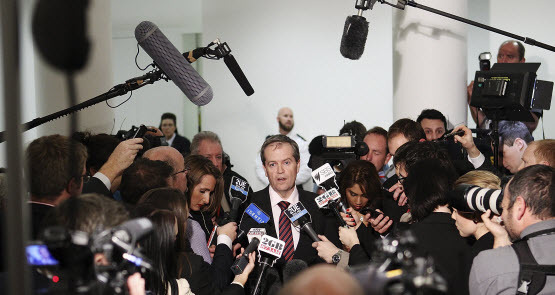 Labor powerbroker Bil Shorten was holding on to his default position of supporting Julia Gillard while the party moved around him. What made him turn? How did the media -- both in Australia and overseas -- respond to the downfall of Julia Gillard and the rebirth of Kevin Rudd? Crikey has all the front pages and the best analysis. If you increase the demand for political bastardry, you’ll get more of it in the future. It’s not entirely clear the Labor Party understands this, writes Charles Richardson.